Rated 5.00/5 Stars from 10 customer reviews. 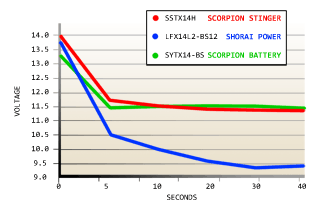 Do you own the SSTX14H-FP? Please, tell us what you think about it. It helps us provide you with better products. Please note that it may take up to 72 hours for your review to appear. Pros: Cold weather or hot, this baby fires my Vulcan 900 up in a heartbeat. 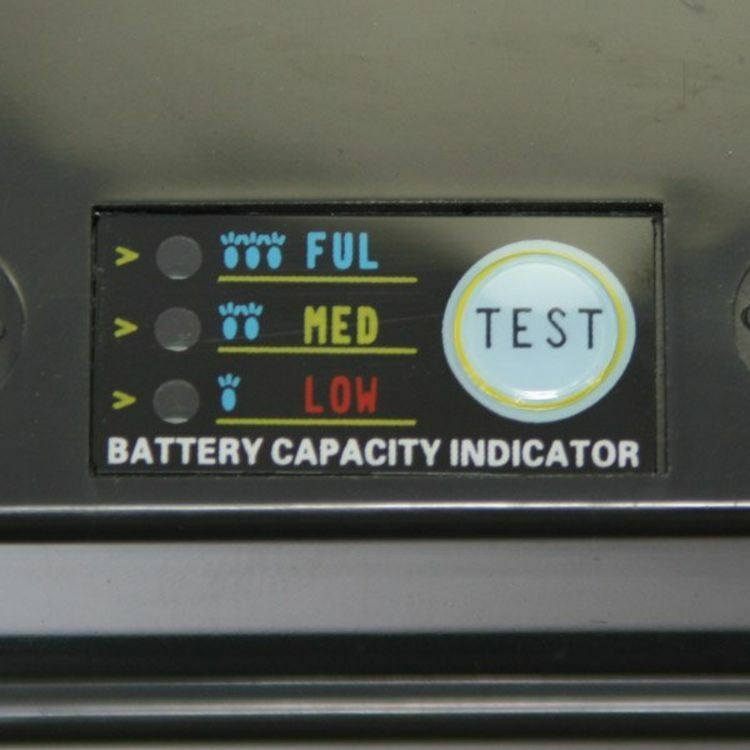 It is a very noticeable improvement over the stock lead battery that faded away last summer. It also heats my Gerbing heated clothing to a toasty temperature. Love it! Cons: Price is a bit high. Some folks warn it won't work in the cold but mine has (so far). Wonder if it can power my tail-gator boom box? Pros: Amazing battery. When I got the package, it was so light I thought it was empty! 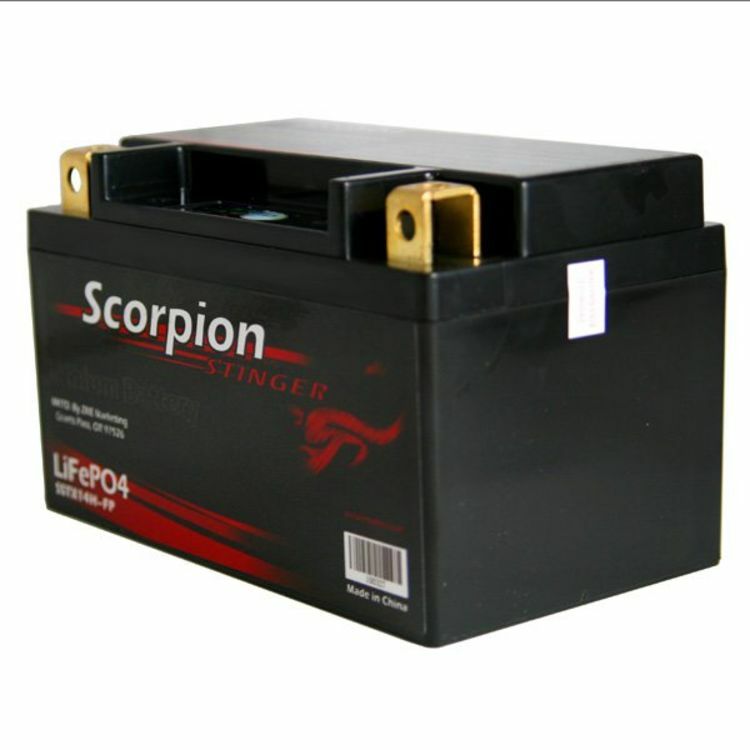 Want to lighten your bike's weight, start with this battery. The tech questions I had were answered professionally and in a timely manor. 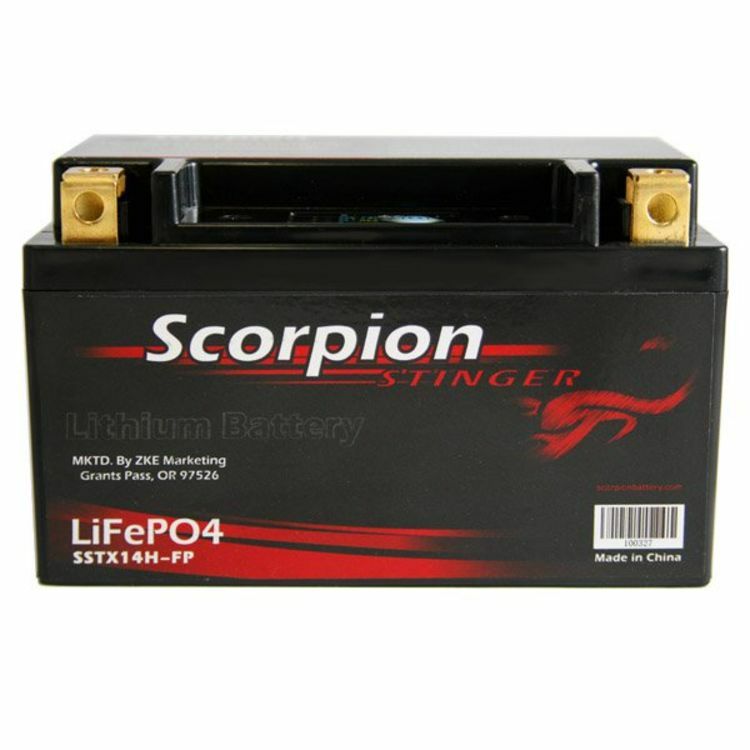 Of course I haven't had it very long, but if this battery performs as well as my li-ion batteries in my power tools, I will never buy another lead/acid type battery for my motorcycles again. Well worth the extra cost. I wish I could hang it outside my bike so everyone could see how great this battery is. The quick shipping is great. I like the led charge indicators. Pros: This battery is so light and amazingly powerful. in the coldest ny days, alternate side parking, bike must start and it kicks in 1 MAYBE 2 cranks. in warm weather, you just get the start like a magician in the engine. fits perfect and tight. terminals were easy to fit and tighten. I had my mouth open since i opened the package. Cons: i have to look harder for a con. nope, can't think of any. price is not a con, it is well worth it. peace of mind and dependability are worth it on two wheels. 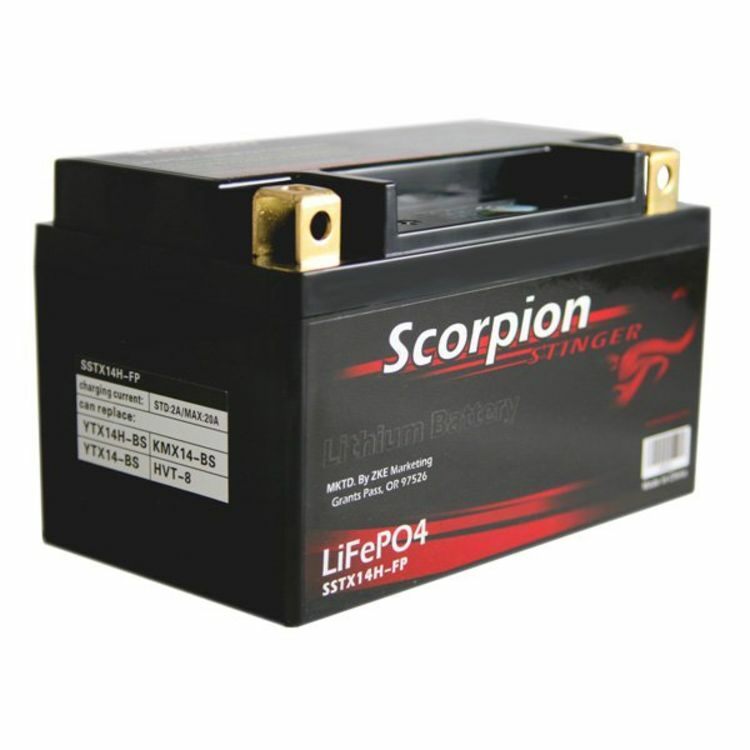 i have recommended this battery to many who have fell in love also. I have even bought the battery as a gift for a friend who was a non believer. He has bought me many gifts since. Pros: Perfect size replacement, voltage was spot on. Cranked right up. Pros: Cold weather or hot, this baby fires my Vulcan 900 up in a heartbeat. 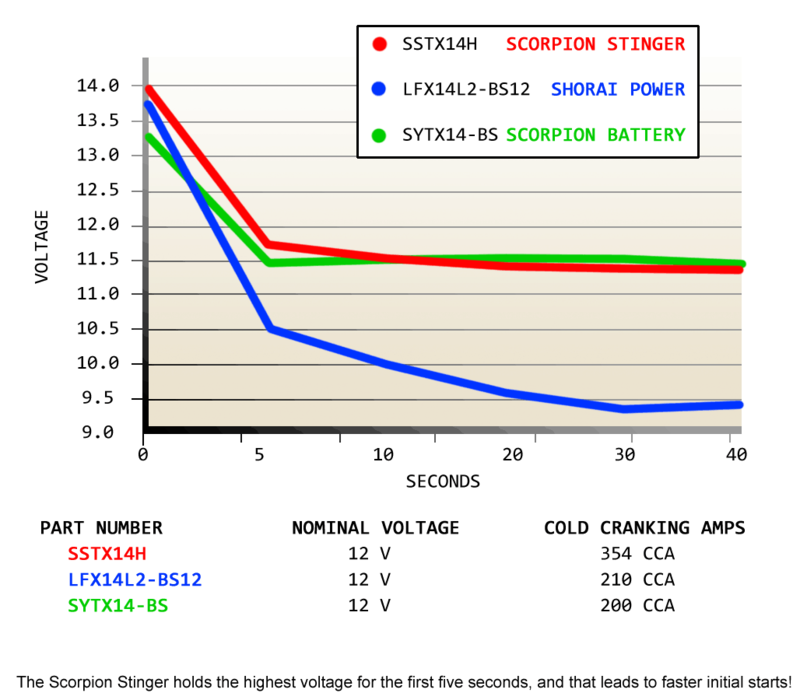 It is a very noticeable improvement over the stock lead battery that faded away last summer. It also heats me Gerbing heated clothing to a toasty temperature. Love it! Pros: High output. Turns bike over without a problem. I also like the gauge on it. Pros: Weight. This battery is 80% lighter than the AGM battery it replaced. The plastic spacers included with the battery snap in firmly and make for a perfect fit for the larger battery it is replacing. Seems to hold charge adequately. I have had no cold start issues over the winter. This battery was about 25% more expensive than the AGM battery it replaces. But it is only 20% of the weight of the AGM battery. So far, very pleased. Pros: Purchased/installed this battery on 2/17/14'. Same story as the rest. Couldn't believe this "pack of smokes-weight" battery was going to start my bike? (Is this some kind of joke, or what?) Literally blew me away the power it has. I'm a central Oregon coast rider, so am limited on weather in which to putt. Fantastic battery it is. Keep on trickle charger always ready to go. Love it still 2 1/2yrs later. Cons: No cons. All is good. Would/will purchase again in a heartbeat. Received to home in 2 days shipping. That's incredible fast here. Almost rely on 'pony express' to date in my locale.!! Pros: This is a great product in a small package. The shims that came with the battery were a little to thick; I used some foam to get the vertical height to be a snug fit in the battery box, and put some very thin foam slices on the sides to make sure it couldn't move around. I bought the good charger recommended for the battery. Glad I did since I think I will replace the batteries in two other bikes with Scorpions.